This is a list of players that I expect to take the next step towards greatness…..
Jeff Teague (Atlanta Hawks) : Joe Johnson is gone, so Drew and the Hawks will run another type of offense, and Jeff Teague will have added responsablities. If he could master the drive and kick, with Korver, Morrow, Williams and Jenkins waiting all over the floor, he could easily have an average of 10 assist per game. Donatas Motiejunas (Houston Rockets) : Morey find a real gem, with coach McHale that will love him, Donatas should make an impact in his first NBA season; he has gone trough three seasons of basket in Europe that have benn very valuable to his development, think 10 NCAA season….He has an advanced offensive game, good size and can hit from midrange (occasionally the three pointer). I expect McHale to put Motiejunas next to Patterson and Parsons in a really intriguing frontline. 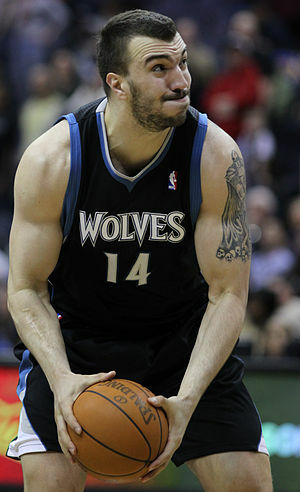 Nikola Pekovic (Minnesota T-Wolf) : Pekovic is the best example of how many bad decision maker there are in NBA’s front office. How this guy was selected in the second round is a real mistery. With Partizan and Pana Pekovic dominated in Euroleague competition, with his all-in attitude and good touch from the field and from the free throw line. Victor Claver, Joel Freeland, Petteri Kopponen are all European selected in the first round, but you just can’t compare their resume in Europe with what has shown Pekovic. This year all the added players on the wing should free more space to the Serbian giant, that is a very good fit next to Kevin Love. 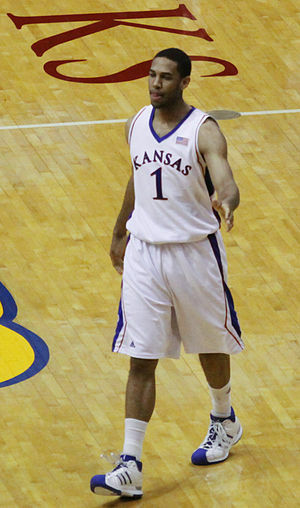 Xavier Henry (New Orleans Hornets) : Henry was too good in his freshman year at Kansas to be a NBA bust. He has gone trough several injuries and few minutes available in Memphis. Without health issues,if Xavier regains his shooting touch and put the all-in effort requested from his coach, he could be a surprise impact player for Monty Williams. The small forward position is the only again not settled for the sort and the long term in New Orleans, it’s up to Henry to fight to get it. J.J. Hickson (Portland Trail Blazers) : the flop in Sacramento was a problem of chemistry between him and Cousins, while with Portland Hickson has started to show his full package of power and skills. Not a bad fit next to Aldridge, he is a perfect backup bor both power forward and center. While waiting for Leonard’s development, the Blazers should start the former Cleveland in the frontcourt, where Hickson will have the benefit of not be the focus of opponents defense. Had to improve as rebounder and on pick and roll defense if he would sign a good extension after next season.